Kids will enjoy Santa Claus Village and SantaPark - the Home Cavern of Santa Claus. Get out of town with these interesting Rovaniemi side-trips: Pyha-Luosto National Park (in Pyhatunturi), Duudsonit Activity Park - TornioHaparanda (in Tornio) and Amethyst Mine Lapland (in Luosto). There's lots more to do: get engrossed in the history at Arktikum, don't miss a visit to Lordi's Square, see Santa Claus Office, and take in the architecture and atmosphere at Rovaniemi Church. 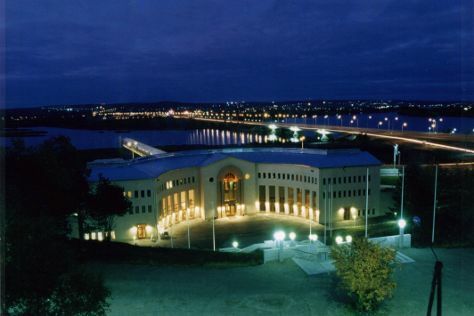 To see reviews, where to stay, traveler tips, and tourist information, read Rovaniemi tour planning site . December in Rovaniemi sees daily highs of -6°C and lows of -13°C at night. Wrap up your sightseeing on the 27th (Fri) early enough to travel back home.